Dave Whittle, 64, of Tuscumbia, Missouri passed away Monday, April 8, 2019 at Capital Region Medical Center in Jefferson City, Missouri. He was born January 9, 1955 in Modesto, California the son of the late Elmer and Lois (Stark) Whittle. On June 7, 2008 in Eldon, Missouri he was united in marriage to Tabatha (Scott) Whittle who survives of the home. Two sisters, Juanita Phillips and Deanie Workman preceded him in death. 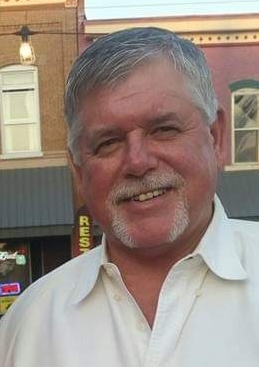 Dave was a Miller County Commissioner presiding from 1995 - 2008. He was a member of the Noble Eagles of Eldon, MO. Dave owned and operated Dave’s Shoes and Booze in Brumley, MO and Whittle’s Pub and Grub in downtown Eldon. He will be forever known for his quick wit, humorous personality, his gentle kindness and his love of family and friends. Visitation will be Friday, April 12, 2019 from 4:00 PM – 7:00 PM at Phillips Funeral Home of Eldon, MO. Funeral Service will be Saturday April 13, 2019 at 2:00 PM also at Phillips Funeral Home with Nolan Scott officiating. Burial will follow at Gott Cemetery in Ulman, MO. Memorials in his name are suggested to the Noble Eagles.